I was wondering when this would happen. Seems inevitable; new consoles come out, new games come out for it. 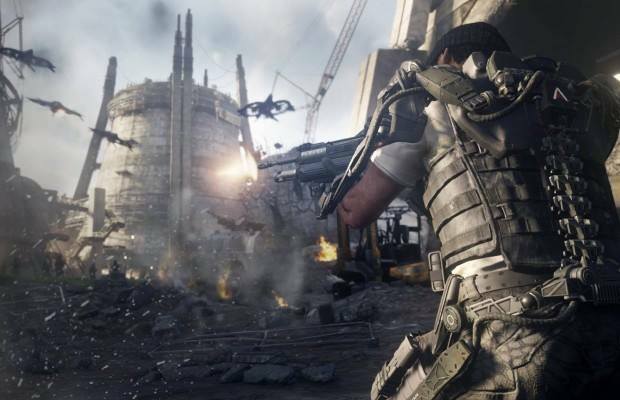 Plus, since Call of Duty is considered the game among games by publishers, it’s no surprise that Activision would launch one for next gen. Given the rising emphasis on future tech in the franchise itself, it’s even less surprising that they named it what they did and have it take place in the future. 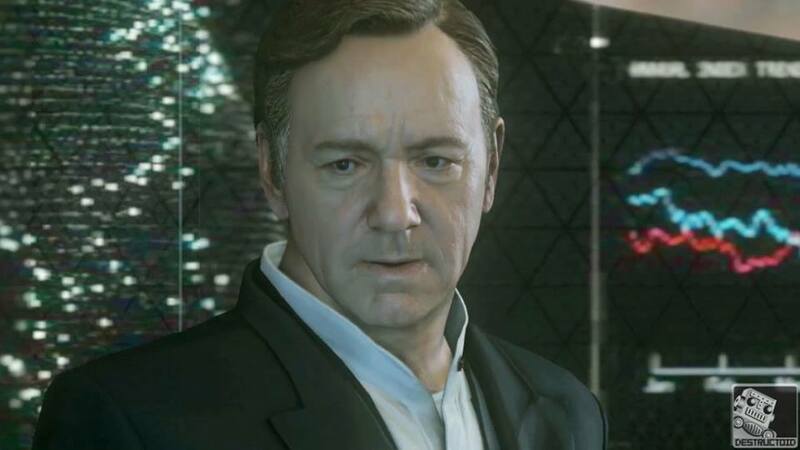 To top off this move by Activision’s PR machine, we have Kevin Spacey as… Some business guy who might wanna become a dictator? Whatever. He’s obviously going to be the “bad guy”. In a game that isn’t particularly good at making memorable bad guys. 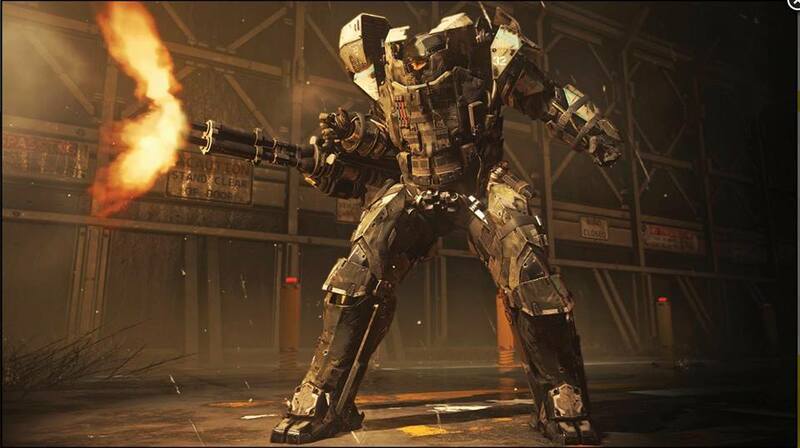 One thing that actually does have me at least a little excited is the new weaponry they introduce in the game. They are making it even more high-tech then before, since this takes place in the year 2054. They seem to take a hint from the GI Joe movies nobody loves so much and gives the marines of 2054 mechanical exoskeletons that make them stronger. A little gimmicky, but it serves the purpose of simplifying melee and allows you to manipulate the environment more. They already ripped out car doors to use as a shield and kick open doors that are barred. I’d like to see what that kind of strength can do to a person’s head-or a robot’s arm. Confirmed is a battery powered rifle with infinite ammo; assuming you don’t overheat it. Also confirmed are grenade that can change their function with a push of a button. Such functions include the classic frag grenade, a thermal image device that shows the position of every enemy in bright neon, and a neat concept called a smart grenade, which basically makes the grenade rocket propelled and home in on a nearby target. That could be useful for throwing around corners. You also get boosters, which are like a limited jet pack that soften your fall. This will probably annoy veteran gamers, but my favorite feature showed thus far would probably be the shield drone. Apparently, you can link yourself somehow to drone, and control it as you move around. 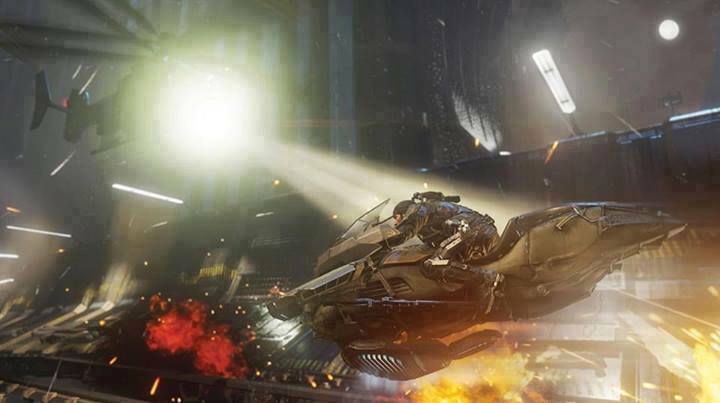 The shield drone moves right in front of you, blocking enemy fire, highlighting targets, and even lowers it defenses when you aim your weapon, so you can fire back when you have the shield on. Definitely a better option then the old riot shield of yore. It’s not confirmed completely what the main story is, but from viewing the source website, it is strongly implied that it has heavily to do with private military corporations, or PMCs. Call of Duty wouldn’t be the first game to do this, as Metal Gear Solid 4 comments heavily on their usage and was published more then half a decade ago. I would bet good money that the scene with Kevin Spacey is at the headquarters of a major mercenary corporation, and the backstory has something to do with his character’s company becoming a national threat in some way. How remains to be seen exactly, but I bet most of the guys shot up in the E3 demo were mercenaries of a rival corporation. IN closing, this looks to be a fun game for the average adrenaline junkie, mediocre for the narratively inclined, and another staple of the COD franchise to all parties involved. I could get into detail about how it recycles the Michael Bay zeitgeist of american white guys saving the day from something scary and different for the umpteenth time, but that is another article for another time.